Many MMORPGs have been launched for PC in 2015. Black Desert, Nosgoth, Skyforge and Lineage 2 are among the prominent games. It has games for every taste: cartoony, realistic graphics and giant worlds. Therefore, we prepared a list of the best free to play options. Launched in late 2014 in the east, Black Desert is the game with the best character customization that is in the market. The title is being promised to be released in the West in 2016 and promises to break classics of the genre like Lineage and World of Warcraft. 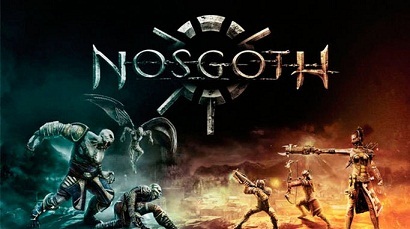 Nosgoth is not a MMORPG as we know, but brings dynamic battles between humans and vampires. The game is free on Steam and brings quick and full fighting strategy, using various powers and the most diverse weapons. For those who prefer a game that mixes fantasy with sci-fi, Skyforge is requested at the time. Bringing clean graphics, this game has a huge advantage: you can change class at any time, keeping your character. Lineage 2 is still one of the best MMORPGs available and recently became free to play. It is everything that it promises: a giant world, different classes and races, extreme realism graphics, plus numerous dungeons.